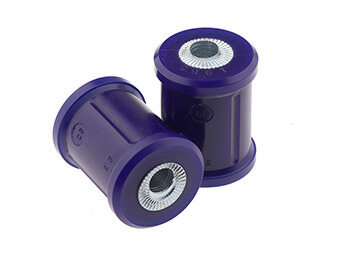 Superpro polyurethane front lower wishbone inner rear eccentric bush kit. Supplied as a pair, enough to do both sides, see the larger images to confirm placement on the vehicle. Eccentric bushes are designed for fast road and track use as the offset tube allows for far greater adjustment of the geometry settings.